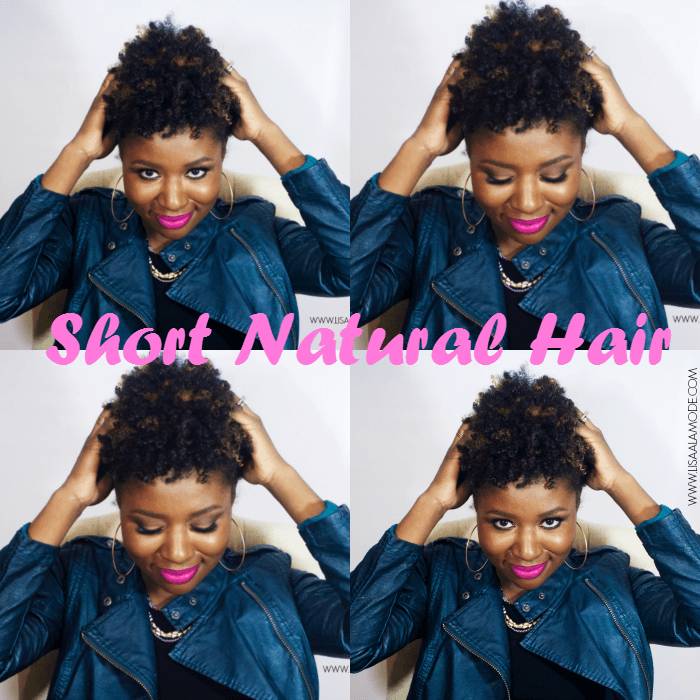 Short Natural Hair Rocks + Link Up! 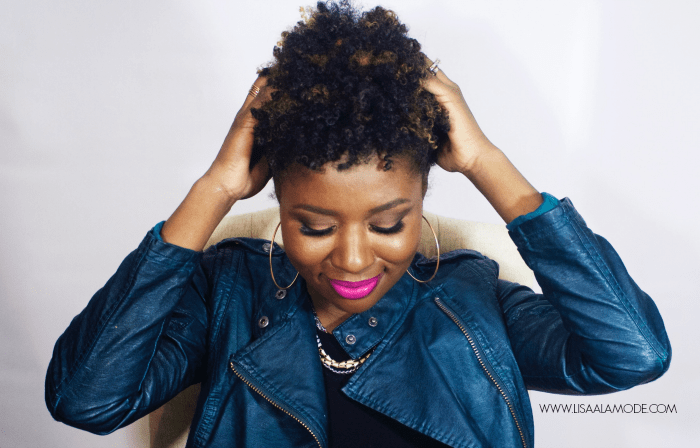 I won’t go so far as to call myself a natural hair guru, but I am definitely along for a the ride of a true natural hair journey. Now that I’ve actually gone ahead and cut my hair, I can honestly say that in order to truly love the hair with which you were born, you must must love it from the root. I say this because I’ve been natural for a VERY long time. We’re talking over 15 years (I wrote about it in this post HERE.) So you would think that within all that time I would have learned to love my hair as it is. But that ain’t so! Since I never cut off my relaxed hair, but rather transitioned to natural hair keeping my length all the while, I never really learned about my hair. Instead, when I did wear it in it’s natural state I was consumed with showing off length. 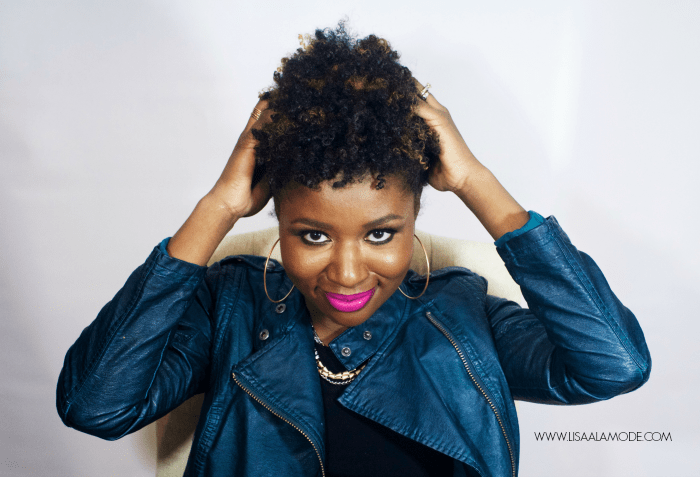 As many of us know, tightly curled hair shrinks and shrinks, especially if you have 4C curls. So even when my hair was almost waist lenth when straught, it was easily chin length when wet. I kid you not! So I was ALWAYS manipulating the hair with methods and products to elongate it. And you know what happened? My hair hated it, and started snapping off EVERY which way in protest. And now, I’m here. Short. Natural. Fierce. And LOVING myself in a way I never thought possible. I get excited to do my hair in the morning. I’m not buying new products everyday. And what’s more, my curls are shiny, and bouncy and well, beautiful every day of the week, even on rainy days! Don’t forget to link up this week! Can’t wait to see your fabulous fashion! LISA! Your hair is EVERYTHING! I watched your newest video last night and it too was EVERYTHING! I am so happy for your new journey and I can’t wait to see what God has in store for you. I am wishing you much happiness and success. I am so proud to be your BBS (Blogger Baby Sister)! I really hope that we get to meet sometime this year or next year! You would always look great in anything Lisa! Yay! Your link up is back! Girl I so love your new bold cut with the touch of color. I too transitioned and only have been fully natural for almost 2 years. I love my hair in it’s curly state. 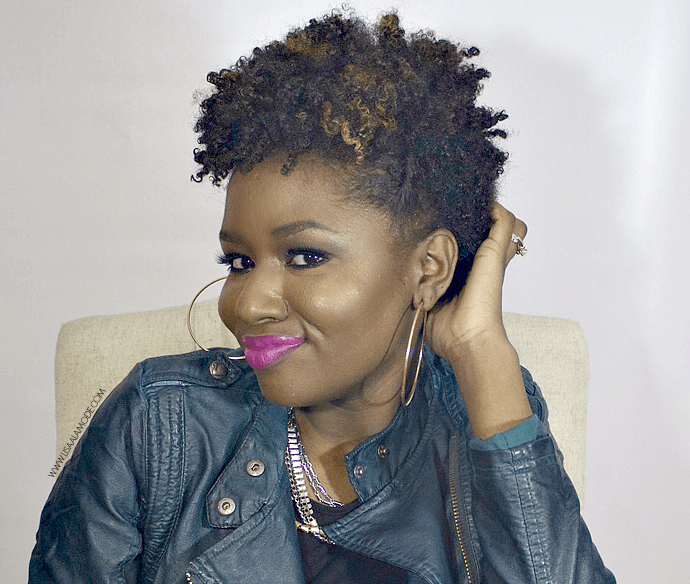 I recently got a silk press and couldn’t wait to go back to rocking a twist out. My only issue are my thin edges they certainly keep me from trying so many styles I love 🙁 You are so right though, it is amazing when you learn to love your hair in it’s natural state! thanks, girly! And you look great! Have you tried using castor oil on your edges?I hear it works wonders. Very cute, you have a beautiful natural curl pattern! ha ha, thank you! I hear you! You are really killing it with this hair mama! Loving it all!!! Your hair looks beautiful. I am getting ready to braid up my hair for the summer. But I’m in love with mu natural hair. Can’t wait to see your braids! I don’t have the patience..lol. 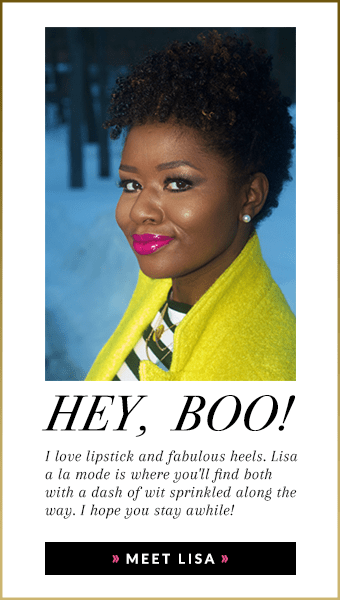 I just love this, Lisa! I tried going natural and did so by doing a big chop. 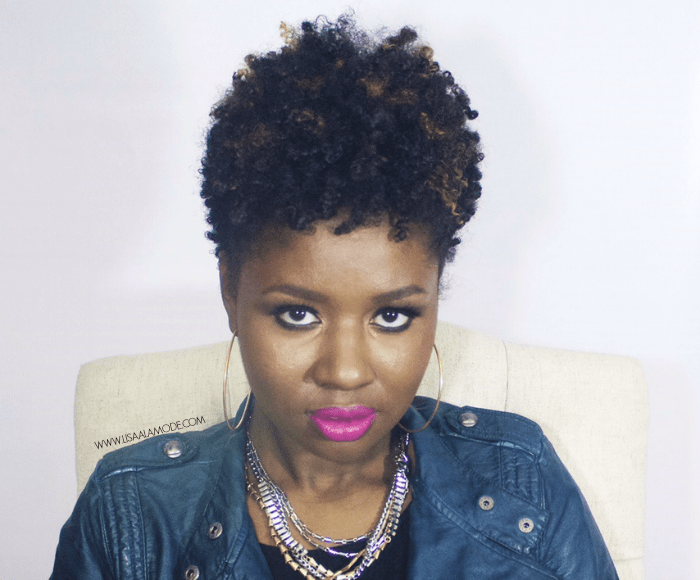 I stayed natural for just two years before returning back to relaxed hair. After reading this, I’ve realized that I never truly embraced being natural. Yes, I did the big chop but I never learned to love it and treat it properly so it didn’t thrive. You’ve definitely given me something to think about. Thanks for sharing. And this lipstick is definitely fierce! Love it! Thanks, Kishina! I was scared at first too, but I LOOOVE it. I feel so chic! No bad hair days and you always look polished. DO IT!